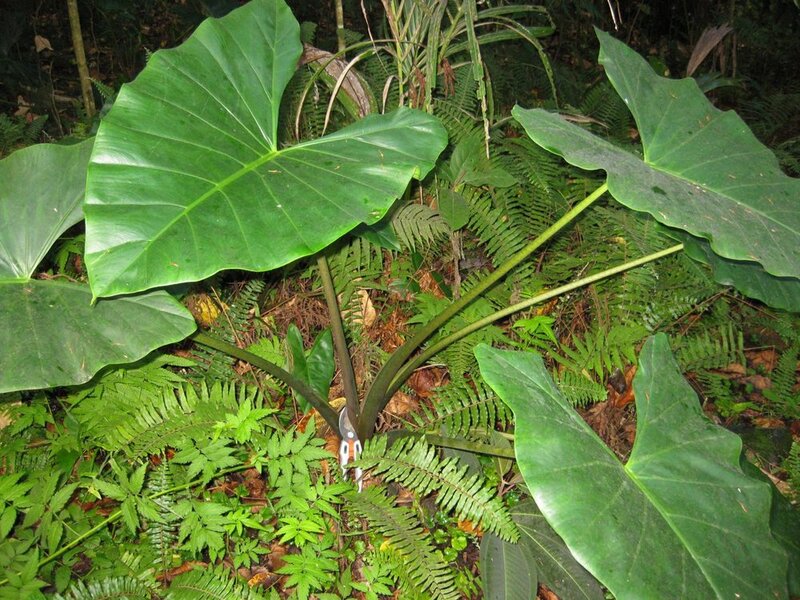 Colocasia esculenta (taro root) is a perennial herb (family Araceae) with yellow-orange flowers and large heart-shaped leaves found in the Central Valley of California. It is native to eastern Asia. It favors grasslands, wetlands, and bog and marsh habitat. It spreads via seeds and vegetative corms and is sometimes cultivated as a crop. Seeds are dispersed by water and agricultural activities.